Shot dead by four NYPD officers in the doorway of his Bronx apartment building at 1157 Wheeler Avenue. The cops evidently thought Diallo had pulled a gun out of his back pocket, when in fact it was only his wallet. The cops fired 41 bullets at the unarmed victim, who was struck by 19. 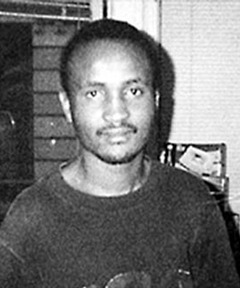 Desperate for anything to justify their homicide, the cops then proceeded to search Diallo's apartment and ask neighbors whether he had any enemies. Unfortunately, their victim was a clean-cut, devout Muslim saving money for college.